1. Cheer for all players (even those on the other team!). Leave the coaching to the coaches. 2. Write down your goals for your child for this season. Talk to your child about these goals, as they likely are not the same as his or hers! 3. When setting goals with your child, remember to focus on both effort and outcome related goals. For example, a great effort goal in basketball is praising a player for their consistent effort to box out. 4. There are a lot of basketball organizations out there. Take the time to evaluate options for where your child might play. Talk to other parents whose kids have played in those organizations. 5. Resist the temptation to critique your child on the way home. Ask if your child wants to talk about the game. If the answer is “no,” respect that. 9. Studies of world-class athletes in basketball and other team ball sports have demonstrated that top performing athletes often delayed single-sport specialization until age 16 or later. Thus, delaying specialization until this age range is recommended. 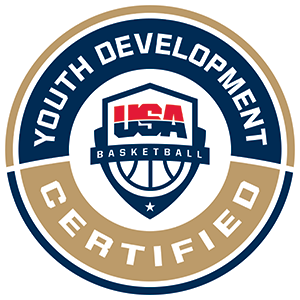 Specialization in basketball prior to age 14 is discouraged. 10. At every possible turn, let your children know that you love them unconditionally, regardless of their athletic performance. For more insights and access to free resources on sports parenting, visit www.PCADevZone.org. To view a PDF version of this page, click here.